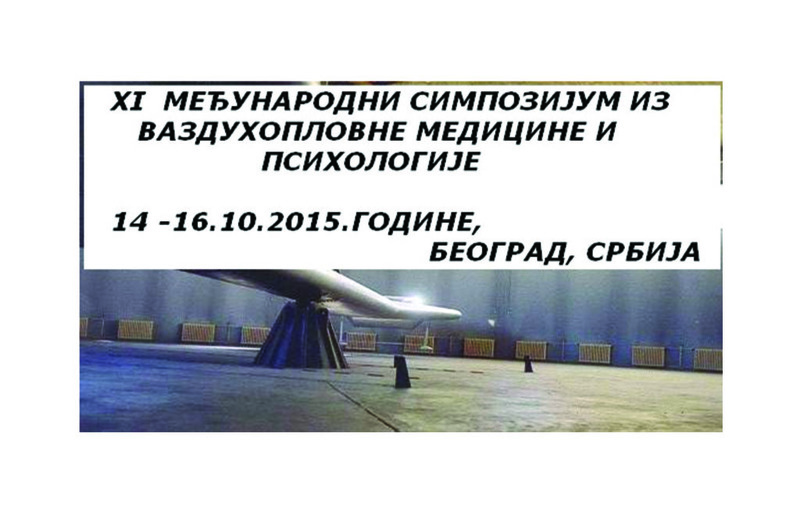 XI International Symposium in the field of aviation medicine and psychology organized by the Institute of Aviation Medicine will be held from 15 to 16 October 2015 in Belgrade. The opening ceremony will start on 15 October 2015 at 9.00 am in the amphitheater of the Military Medical Academy. Topics of the symposium, during which 70 years of Institute of Aviation Medicine will be marked, include the candidate selection for the Air force Academy, physiological training of pilots, aviation physiology and psychology, human factors in aviation and flight safety, aero medical evacuation, as well as aircraft crews, skills assessment and medical standards. The deadline for abstract submission is on October 2 2015, and there will be oral and poster presentations.